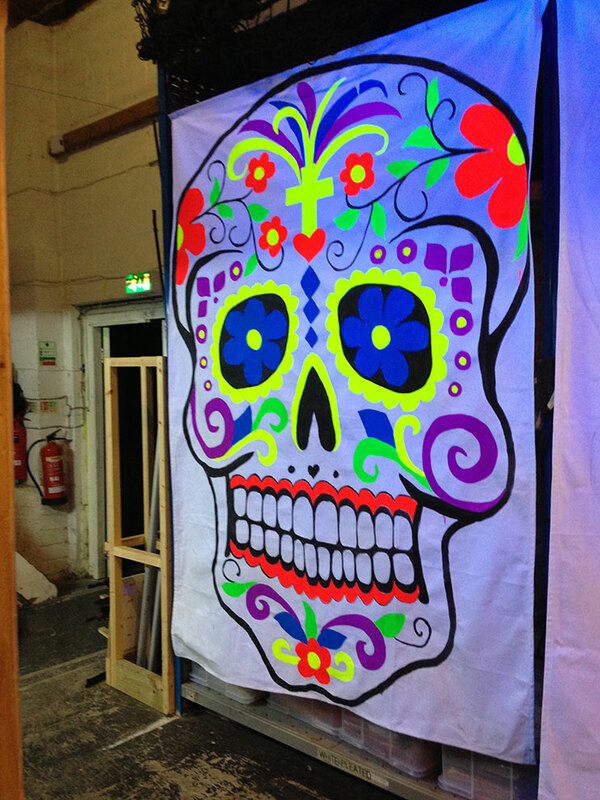 We are busy getting ready for Halloween here at Transform and the most popular theme this year is Day of the Dead. 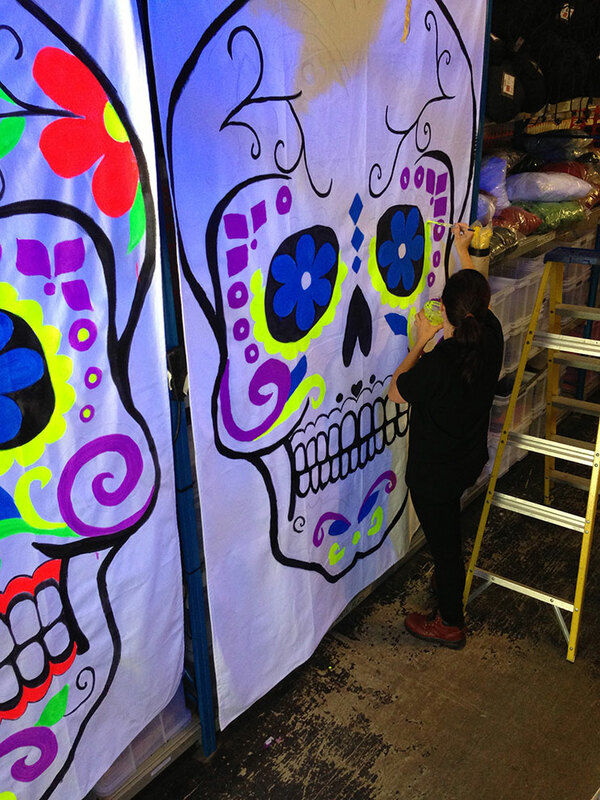 Heather has landed the job of hand painting some fabulous new backdrops for one of our clients. 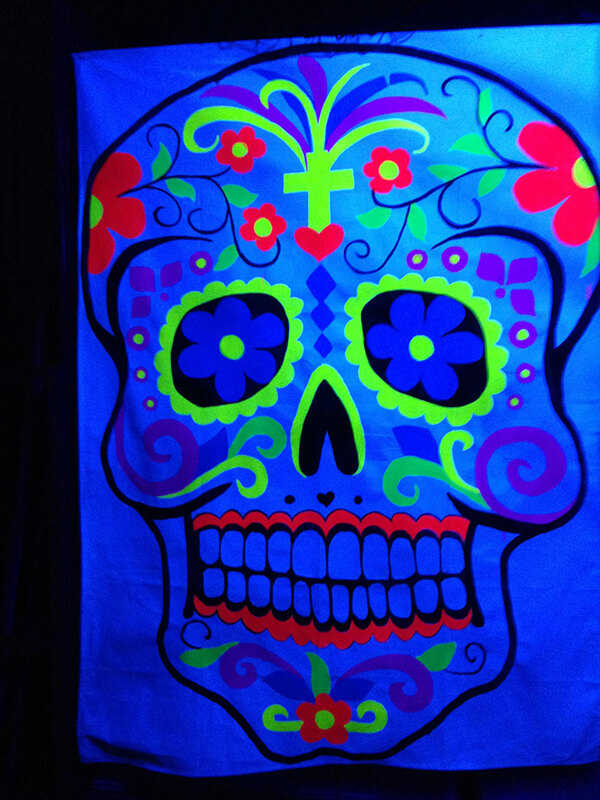 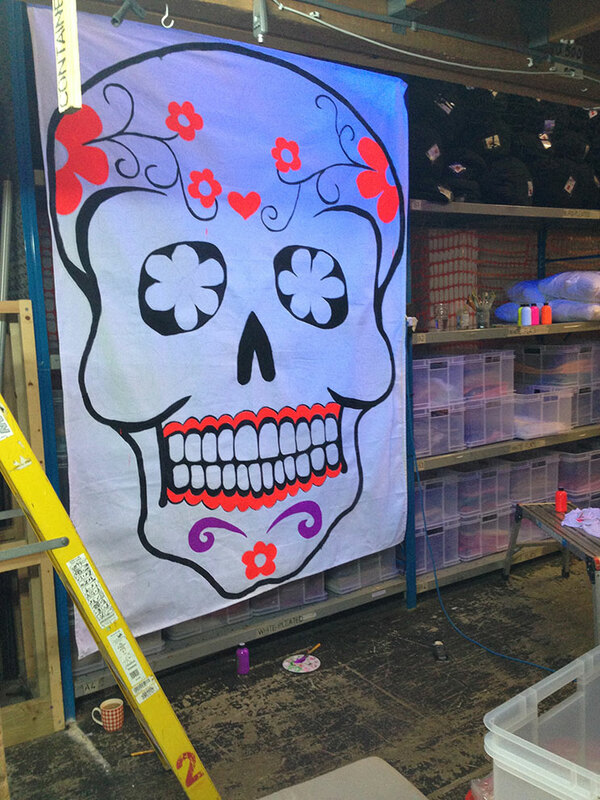 We love being asked to make bespoke decor for events, it means we can unleash our artistic skills or should I say SKULLS….